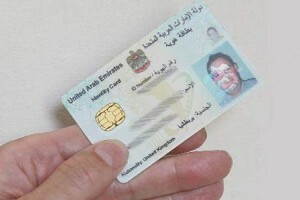 Emirates ID is an identity card issued to all those who reside in the UAE. It’s an official document that is mandatory for children and adults. If it’s your first time to apply for Emirates ID, then you need to go to Emiratis ID centres for biometric scans by taking a photo and you will be asked to provide fingerprints and your signature. After that you will receive a text message to inform you that your ID is finished. UAE nationals and GCC nationals need to pay Dhs100 for five years while expats and residents need to pay Dhs100 for each year remaining on their visa. Additionally there is a Dhs70 typing centre fee. UAE nationals need a valid passport and family book. GCC nationals need a valid passport and UAE residence document. Other residents need a valid passport and a residence or entry visa. Children under 15 also need a colour photo. You’ll receive a text message giving the request number. The Emirates ID can be collected from your given post office box number.